Rotates 36 hot dogs, large or small. Warms 48 buns in a separate compartment. 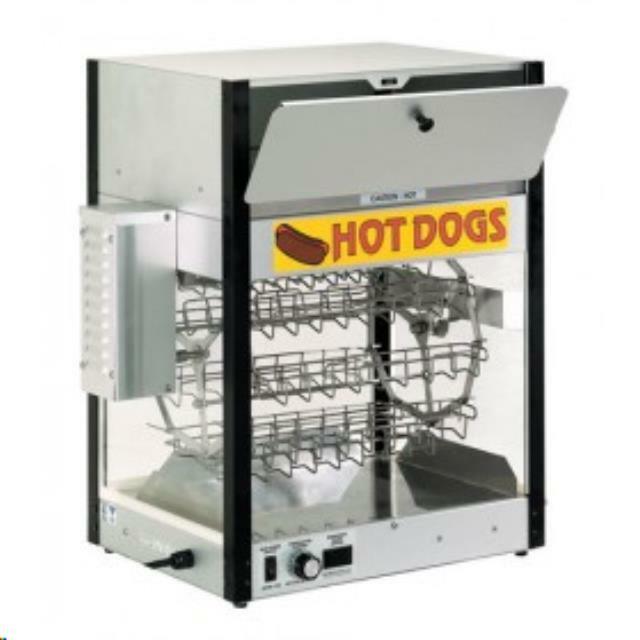 Dimensions: 22" x 20" x 26"
* Please call us with any questions about our hot dog broiler rotisserie rentals in Columbia and Jefferson City MO.